You could spand months exploring around Riyue Bay and see it all. Here are directions for getting to Riyue Bay with the different modes of transportation available. While taking a bus is the cheapest, it can be time consuming and complicated, especially for those guests who don’t speak Chinese. We recommend getting a taxi, or train and then taxi. 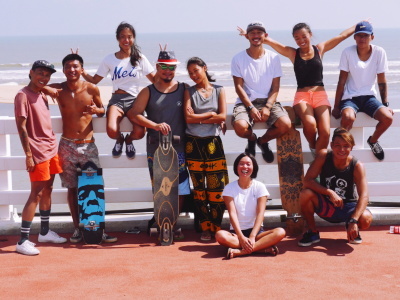 Jalenboo surf club can help the pick up. 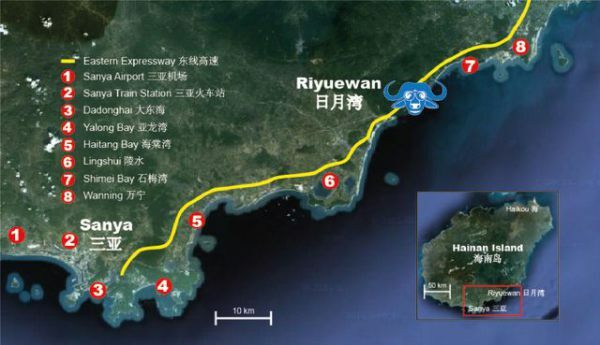 Riyuewan is on the Eastern Expressway, 120 km north of Sanya and 240 km south of Haikou, in between the Niuling exit to the south and the ShimeiBay/Xinglong exit to the north. 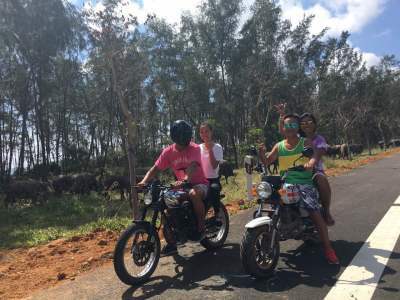 After taking the exit, continue along the road, which will curve left along the beach. The Surf Club is 800 meters down the road. 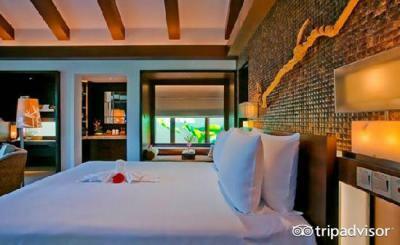 A taxi to Riyue Bay from Sanya should cost 250-300CNY, and takes 1.25 hours. From Haikou, it should cost about 300-350CNY, and take 2 hours.Use the driving directions above to show to the driver. Take the train to Wanning station and then take a taxi for 80 CNY to Riyue Bay. From Sanya, the train will cost ￥35 and take half an hour. From Haikou the train will cost ￥60 and take an hour. 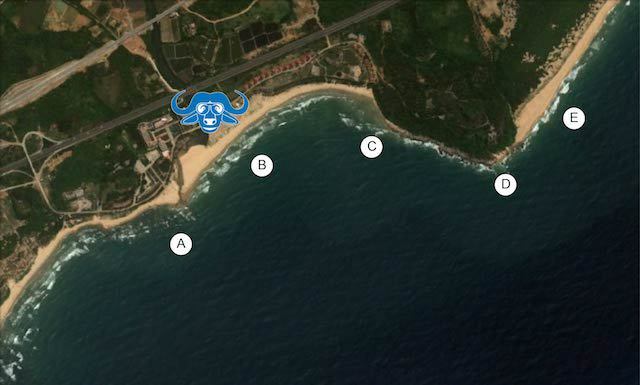 Riyue Bay can be accessed by local bus from both Haikou and Sanya. 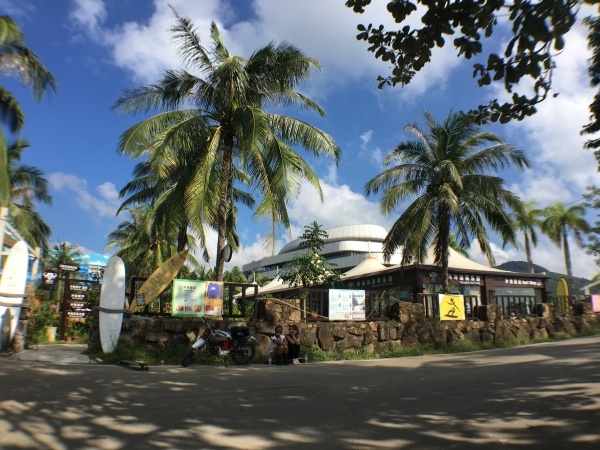 Tell the ticket agent you want to go to Riyue Bay .The driver will let you off at the expressway exit, and then walk 800m down the road the surf club. 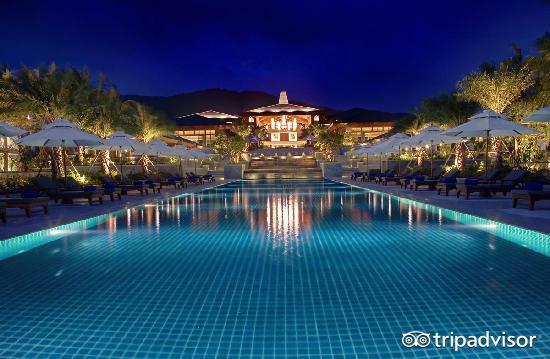 From Sanya, it will cost about ￥40 and take two hours. From Haikou, it will cost about ￥60 and take three hours. There is also a bus which runs from Wanning to Riyue Bay, this costs ￥12 and stops close to the hostel and hotel, taking approximately 1 hour. However, it will be very difficult for those who can’t speak and read a little Chinese to take this bus. This left-hand point break is directly in front of the tourist attraction of the same name. With rocks sticking out on the inside, it is safer and generally better to surf at low tide. Best in fall/winter. 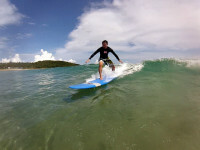 ​​This beach break can be stong and powerful on big swells, and a mellow longboard wave on smaller swells. This is a good break for beginners, as during big swells the whitewater on the inside is easy for learning. It can be fast and hollow, but with a shifty peak, luck and patience are required. Works in all seasons. 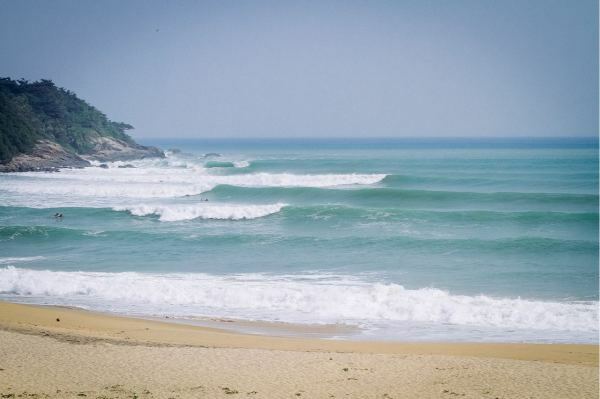 Riyue Bay holds a variety of breaks in the 2 kilometer stretch near the ChongHainan Surf Club. Here are descriptions of some of the best spots in the area. ​​A classic point break set up with long left handers. 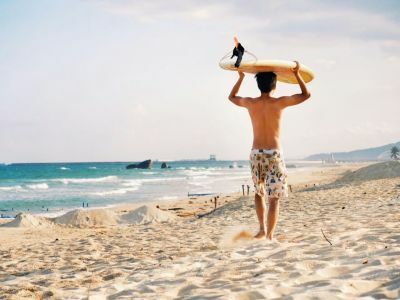 The site of the Surfing Hainan Open since 2007, as well as the WSL Longboard Championship and ISA event, this is probably Hainan’s longest-ridden wave. Relatively soft with an easy channel paddle out, this is a good spot for intermediate surfers to learn to manover on a point break wave. It can also get relatively crowded. ​​A good stand-by when other spots are too small, this beach break serves up fast and and punchy waves. Because of the steep incline of the ocean floor, the waves here are usually a foot bigger than in other spots in Riyue Bay. We accept cash in Chinese Yuan, Alipay and Wechat pay, Can’t use credit card,The closest ATM is over 10 km away. 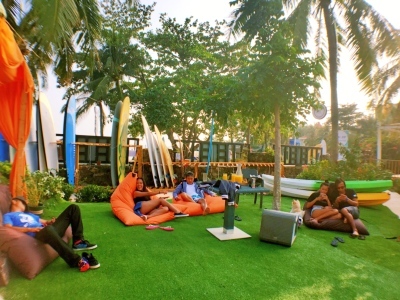 The surf club features a Western pizza bar with an excellent selection of import beer. There are also a few other restaurants in walking distance, fruit vendors and a small market in the area.